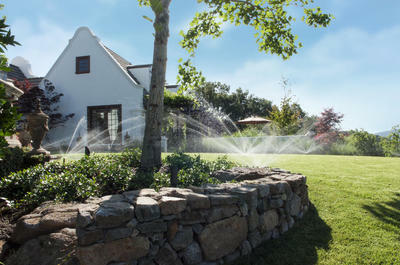 Anderson Turf Irrigation installed our first residential sprinkler systems in 1972. ​We are continually working to provide the most efficient and effective systems for our customers. Irrigation controllers have come a long way over the last decade. 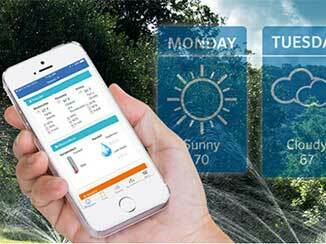 Many manufacturers have the capabilities to hook up to the Internet, run from a smart phone and adjust themselves based on weather conditions, saving a substantial amount of water and money. All residential sprinkler systems in Connecticut will be installed with weather sensors as they are required by state law. Backflow prevention for residential sprinkler systems is also required by Connecticut state law. There are many different types of backflow preventers so it's best to check that the contractor has selected one that is approved by the state and/or town and that it is installed to code. Licensed Irrigation contractors are required to do the job from the backflow preventer out to the system. Make sure if plumbing is being done inside the house that you have a licensed plumber who holds a P-1 plumbing license. We select the proper automatic valve for your site. Not all valves are built the same. In some cases a dirty water valve or a valve that will put up with contaminates, such as ones that may come from a well, are needed. Filtration can also be used if contaminates are to serve. We install sprinklers that have check valves to prevent any drainage of zone pipes. By capturing the water in the pipes when the system shuts down, they will not have to refill when the system is scheduled to run later. Every time a pipe has to refill it will cost money. Provide an equal amount of water over the irrigated area. Full circle (360°) sprinklers travel twice as far in the rotation as a part circle sprinkler (180°) so a full circle will have a nozzle twice the size as the part circle. All sprinkler heads will throw water from one head to another, if not touching the water should be within 10% of the other head. This will eliminate any dry areas. It is best to keep north, south, east and west areas of your property zoned separately, this includes sunny and shaded areas. Large elevation changes work best if zones are installed horizontally as water will run towards the low point. Manufacturers have a specific range of operating pressures for their sprinklers. 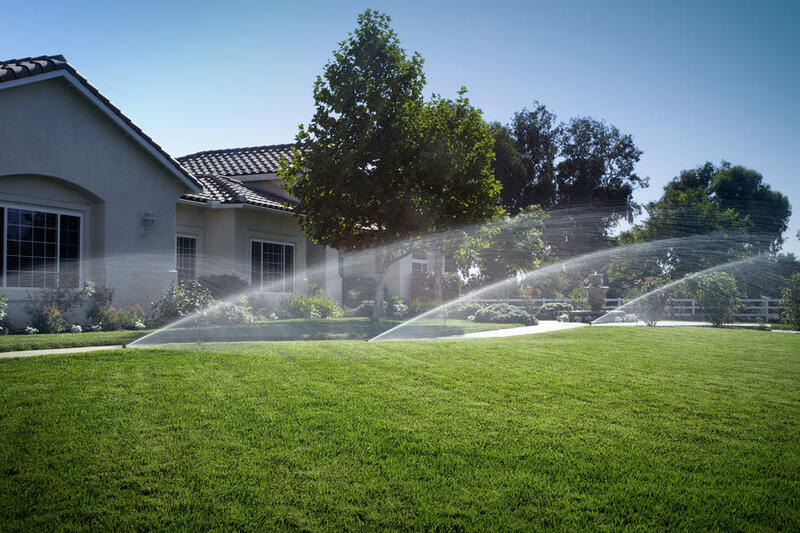 Our irrigation design is helpful to calculate the pressure of loss to the farthest sprinkler to meet these recommendations. An as built is a drawing that shows any changes that may have occurred during installation. The as-built will help facilitate servicing your system and, locating pipes, valves and sprinklers for any future construction projects you may have (i.e. pool, patio, shed, home addition, etc.). If valves are buried a 2-point measurement of the valves will be provided on the as-built.